René Bannwart was born in Zurich in 1915. On the strength of watchmaking experience with the most prestigious firms, in 1955 he founded Corum with his uncle, Gaston Ries. This brand new manufacture set out to be creative, placing itself at the cutting edge of watchmaking, with just as much attention paid to design as to the movement itself. It was not long before the Maison presented its first model. As early as 1956, it was clear that Corum's designers allowed creativity to guide technical aspects rather than the other way around. The firm made a considerable impression with the “Coin Watch” – the dial of which was an American coin – the peacock feather watch (1970) and the Rolls Royce model. The latter once again underscored the brand's pioneering nature, marking the signature of the first partnership of its kind with a prestige car brand – in 1976. In 1960, the firm presented what was to become one of its iconic watches – the Admiral's Cup. 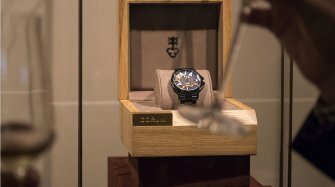 The first interpretation had a square case engraved with a sailboat and the name of the legendary regatta on the back. In the 1980s changes were made to the collection, resulting in its current shape: a twelve-sided case with nautical pennants on the bezel serving as hour markers. In 1980 the manufacture brought out a second emblematic timepiece, the “Golden Bridge”, featuring the now legendary linear-winding baguette movement. In 2000, entrepreneur Severin Wunderman joined Corum as the new owner and CEO. 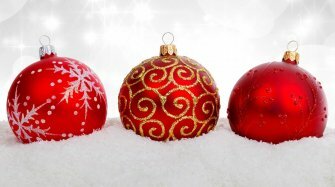 In 2005, he asked Antonio Calce to join him; the latter was to become CEO himself two years later. In 2010, René Bannwart, the historic founder, died at the age of 95. 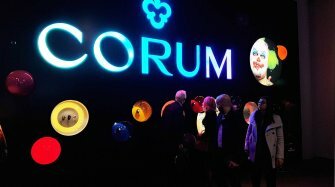 In 2013 the Citychamp Watches and Jewellery group acquired Corum and continues development of the brand’s iconic models. 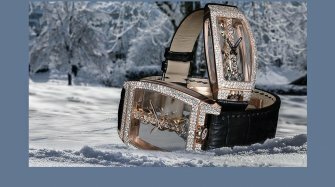 The collection is based around four pillars: the Golden Bridge collection which still stands out in the watch industry with its in-line baguette movement with plate and bridges in 18-carat gold; the sport-chic Admiral collection, which continues a legend dating back over 50 years with its dodecagonal case and its nautical pennants; the Heritage line that reflects the rich history and creativity of the brand with pieces such as the famous Coin Watch, recently enahnced with the hand-engraved Hobo Coin watch, and finally the off-beat Bubble collection that breaks the rules in terms of watch dial design. The first interpretation of the Admiral. 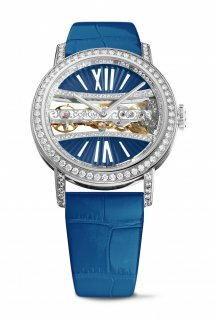 The Golden Bridge watch, equipped with a delicately hand-engraved baguette movement displayed in a sapphire crystal case, embodies the peak of technical and watchmaking expertise. 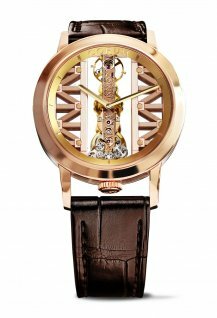 An automatic version of the Golden Bridge baguette movement is unveiled. 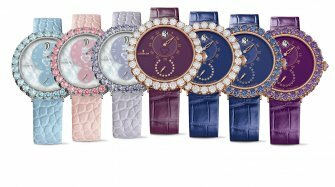 Acquisition of Montres Corum by Citychamp Watches and Jewellery. As an emerging manufacture, Corum still allows itself boundless creativity, to the delight of watch-lovers in search of timepieces that are anything but set in their ways. When it was created in 1960, the Admiral's Cup was one of the first fully waterproof shaped sports watches. A quarter of a century later, its design was revisited with a 12-sided case and for hour-markers, twelve nautical pennants from the international maritime signal code. Presented by Corum in 1980, the Golden Bridge model with its linear-winding baguette movement has gone down in the history of watchmaking. In 2009, the Golden Bridge baguette movement inspired the creation of the racy, contemporary Ti-Bridge, which in turn has given rise to a complete line of models. The Heritage collection pays an audacious, young, and lively tribute to more historic models, featuring new versions of original timepieces. Corum was co-founded in 1955 by Gaston Ries and his nephew René Bannwart, who had excellent horological credentials, having started his career at Patek Philippe and subsequently founded the first creative department at Omega. It was purchased in the 1990s by philanthropist and art collector Severin Wunderman, who was responsible for the Bubble, which has recently experienced a resurgence and has a distinctive domed crystal that can be used to show off original designs on the dial. As an example of history coming full circle, this model was recently relaunched with a blackened stainless steel case and a completely retro digital dial. 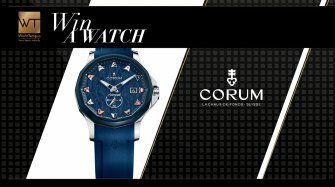 In addition to the Bubble, Corum has several other highly distinctive collections that set the brand apart, two of them featuring concepts that are totally unique in the watch industry. 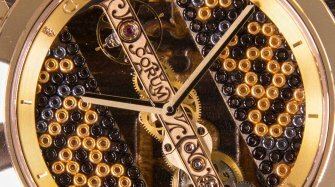 The Corum Golden Bridge collection, for example, is one of the brand's most famous, thanks to its distinctive linear "baguette" style movement, which is arranged vertically in the centre of the rectangular case. In the absence of a dial, this leaves the sides free for architectural interpretations on the theme of bridge structures. This model is also available with an ingenious automatic movement that, unlike most other automatic watches, is wound by the lateral up-and-down movement of a winding weight, rather than an oscillating mass. 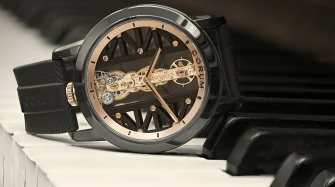 he Coin Watch is another unique concept mastered by Corum, setting an ultra-thin movement inside a genuine gold coin (the first model used a $20 Double Eagle gold coin from the United States. The Coin Watch is still a mainstay of the collection and is now also available with fine silver one-dollar coin and a CO 082 automatic movement in addition to the yellow gold 20-dollar coins. Another signature model from the company, the Admiral, dates back to 1960, when it was first presented with a square case. It has since evolved into a number of variations, including the Admiral's Cup, named after the famous yacht race, and, more recently, the Admiral Legend. The dodecagonal bezel is a distinctive feature of the men's Admiral models in stainless steel, while the smaller ladies models offer smaller, more rounded versions with the luxury of gold and two-tone stainless-steel/gold models with a choice of stainless-steel bracelets and straps in rubber and leather. 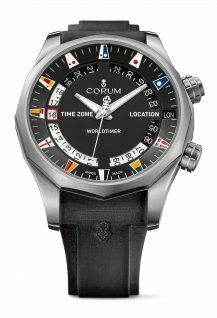 Under the ownership of the Citychamp Watches and Jewellery Group, Corum today focuses its collection around the pillars of sport-chic (Admiral), Golden Bridge and Heritage, which includes the famous Coin Watch. 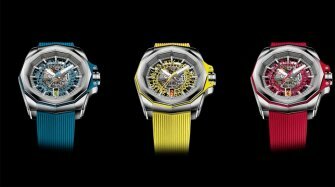 At the same time, the company brings a fresh and irreverent approach to the world of watchmaking with a number of interesting and unusual collaborations on designs for its Bubble watch, including partnerships with artist Elisabetta Fantone, controversial French rapper Booba from Paris, pop artist Nelon De La Nuez and contemporary US artist Matt Barnes, who co-designed a watch with a clown on the dial. With a stainless steel case, the Bubble is pitched at attracting a younger customer to a more fun side of watchmaking.